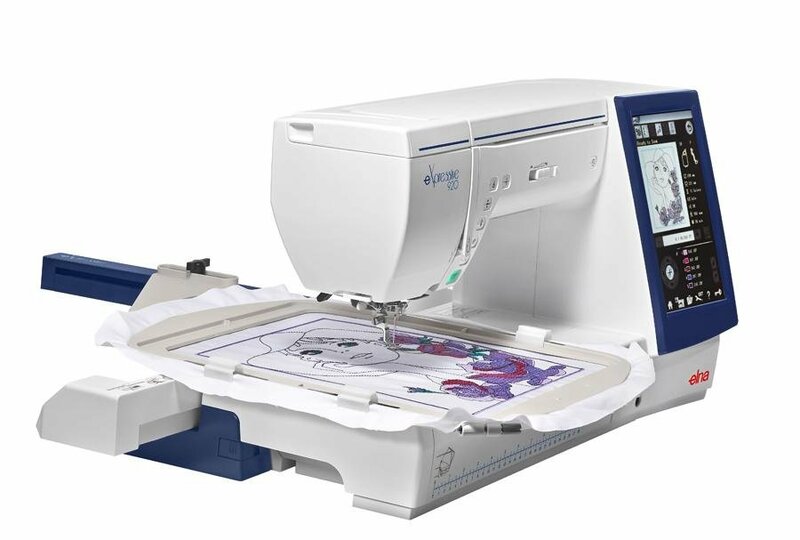 Elna's all-new top-of-the-line sewing, quilting and embroidery machine, the new eXpressive 920 will help you for every tasks. Whether designers enjoy quilting, embroidering, sewing home décor and garments or a combination of everything, this sewing and embroidery machine is the perfect tool for success. Create embroidery like never before by utilizing this machine's 350 built-in embroidery designs, 10 fonts for monogramming and a 2 & 3 letters monogramming function. With a maximum hoop size of 9.1" x 11.8" / 230 x 300 mm and embroidery speed of 1,000 stitch per minute, the new eXpressive 920 allows for larger and faster embroidery work. Quilters and sewists will enjoy choosing up to 400 stitches and 13 one-step buttonholes. The expansive bed space also makes the eXpressive 920 perfect for quilting, home décor or any project where added sewing space is a must.